Together, a large-aperture 24-600 mm F2.4-4 optical 25x zoom lens and a 1.0-type stacked CMOS sensor make subjects stand out beautifully, even when shot in extreme close-ups. Extended zoom, blazing speed and complete silence make for a new shooting experience. The 24-600 mm F2.4-4 25x zoom lens covers a range from wide-open vistas to extra-close-up action and sets subjects apart from surroundings with beautiful bokeh. 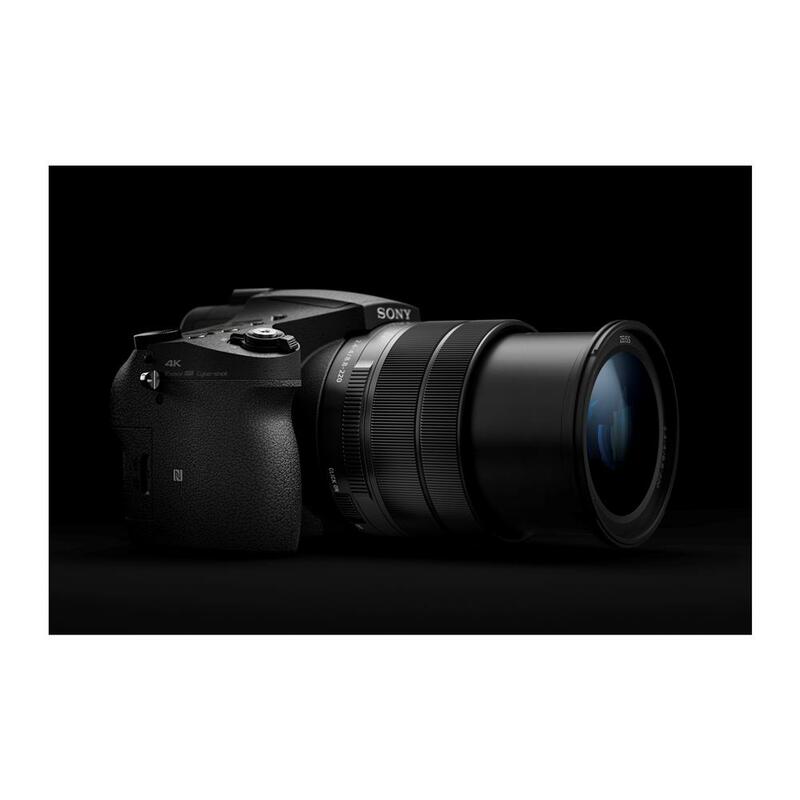 The first 25x optical zoom lens in a RX series camera features 24-600mm extra-wide-angle to ultra-telephoto zoom range in a bright F2.4-4 lens; Super-ED glass, ED glass and aspherical lens elements to maintain excellent image resolution, contrast and quality; and nine-blade aperture unit for outstanding depiction of bokeh background. A large 1.0-type Exmor RS CMOS image sensor with approx. 20.1 effective megapixels achieves more captivating results, thanks to a stacked architecture that expands and speeds up signal processing, back illumination technology to increase light collection efficiency and reduce noise in shots taken at up to ISO 12800, and attached DRAM chip for faster large-volume output that in-camera 4K super slow motion recording requires. 4K movies can be recorded with full pixel readout and no pixel binning, for the ultimate image resolution with less moire and jaggies. A high-speed front-end LSI that supports image processing greatly reduces "rolling shutter" (diagonal skewing) distortion that is commonly seen in video footage of fast-moving subjects. It's easy to create super slow motion movies. Turn the mode dial to HFR (High Frame Rate) mode. 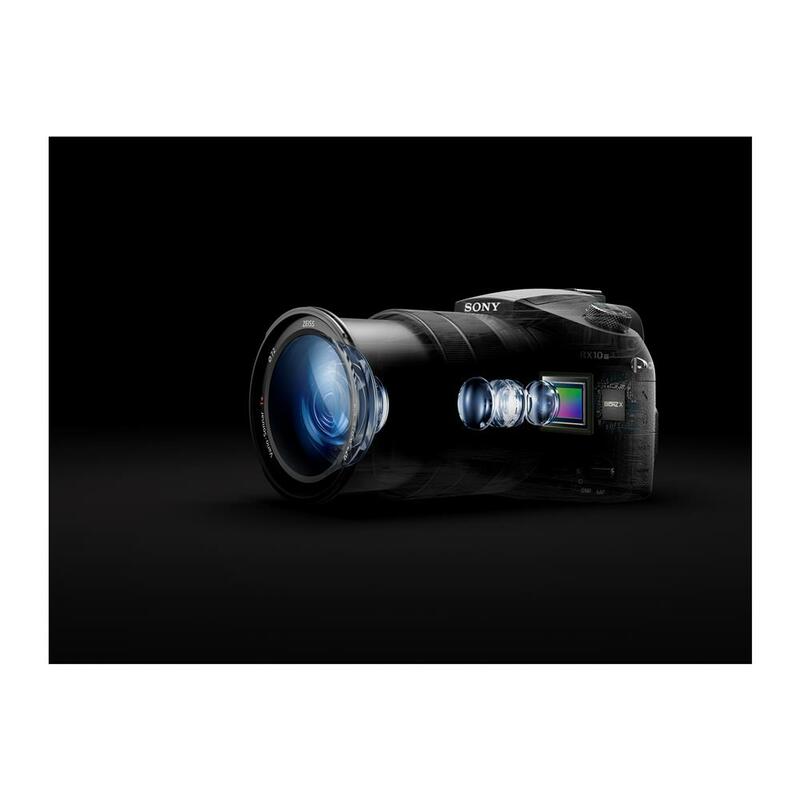 Choose among 960/1000fps, 480/500fps, and 240/250fps (NTSC/PAL17, frames-per-second rates for shooting exceptionally clear, smooth close-up action at up to 40x the ordinary frame rate for movies, according to the speed at which the subject moves. In Quality Priority mode, image quality approaches Full HD quality at 240/250fps, and HD quality at 480/500fps. High-speed readout of the image sensor's approx. 20.1 effective megapixels of imaging data makes continuous shooting at a rate of up to about 14fps possible with reduced blackout. This makes it easier to shoot great moments and expressions at their height nearly instantaneously. High-precision automatic autofocus tracking is operational even during continuous shooting at up to 5fps. 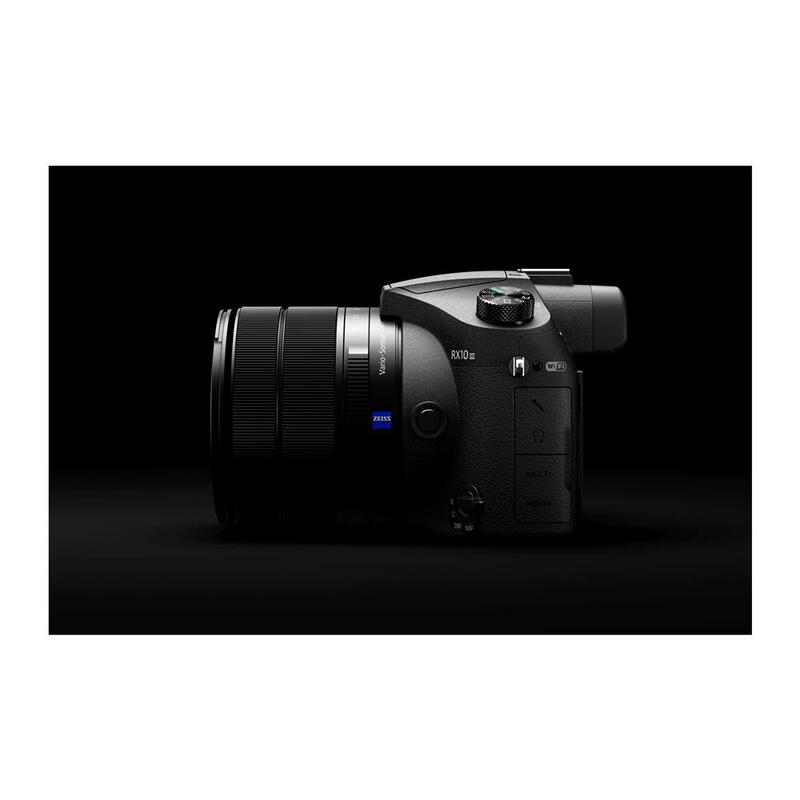 Along with great zoom coverage up to 600 mm, the RX10III features 0.09-s high-speed AF. By assessing the subject even before the shutter button is pressed halfway, the system's subject detection algorithm accurately predicts the proper point of focus, upon which the camera focuses as soon as the button is pressed. The rolling shutter phenomenon distorts images of fast moving subjects. The RX10 III can suppress it when shooting at up to a shutter speed of 1/32,000 s. Ensuring that you can capture sharp, undistorted images of sports such as tennis. Plus its electronic shutter can operate silently, allowing you to shoot concerts, wildlife, and other subjects without disturbing the environment. 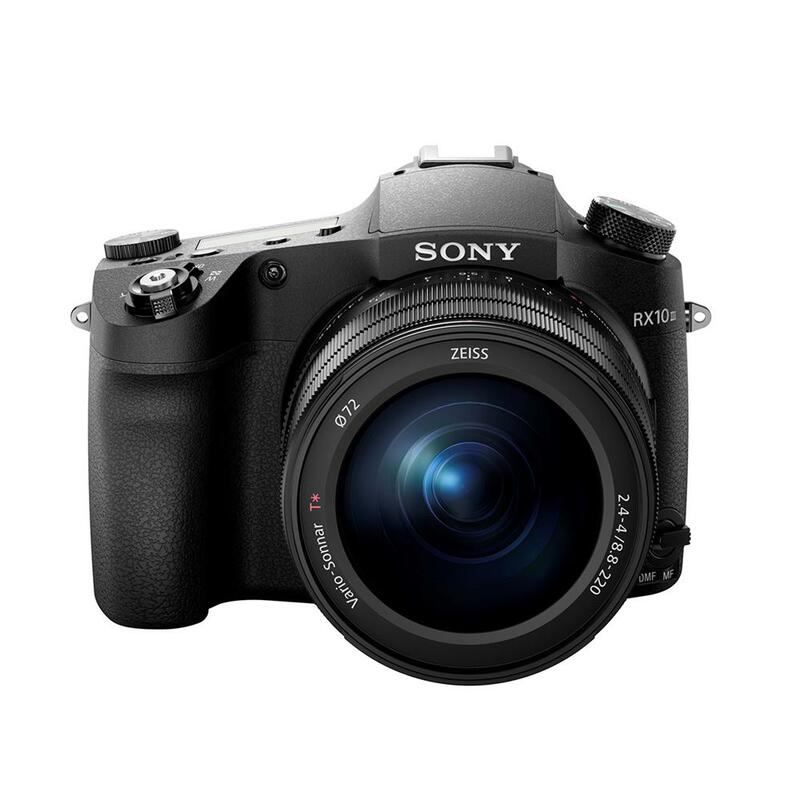 To faithfully reproduce and fine-tune detail and texture, this image processor works with the lens and Exmor RS stacked-type image sensor to handle approx. 20.1 effective megapixels of data with great speed and precision. Diffraction reduction to maintain image clarity even at smaller aperture settings and area-specific noise reduction according to image area characteristics also help to maintain high image quality. Optical image stabilization technology developed exclusively by Sony is especially valuable for hand-held still and movie shooting, especially in low light or at the ultra-telephoto end of the zoom range up to 600 mm. This system is equivalent to a 4.5-stop -faster shutter speed, and prevents camera blur to ensure smooth, stable framing and shooting. When you lose track of a moving subject while framing (which often occurs in ultra-telephoto shooting), press and hold down the C (custom) button to which Zoom Assist is assigned to trigger Zoom Assist function's automatic zoom-out. Find and frame up the subject again, then release the button, and the camera automatically zooms back in to the original focal length, so you can resume shooting the subject. Lens manual rings for focus, zoom and aperture provide comfortable, adaptable control, especially as you look through the viewfinder. Multi Interface (MI) Shoe makes it easy to connect flash units, microphones and other accessories. 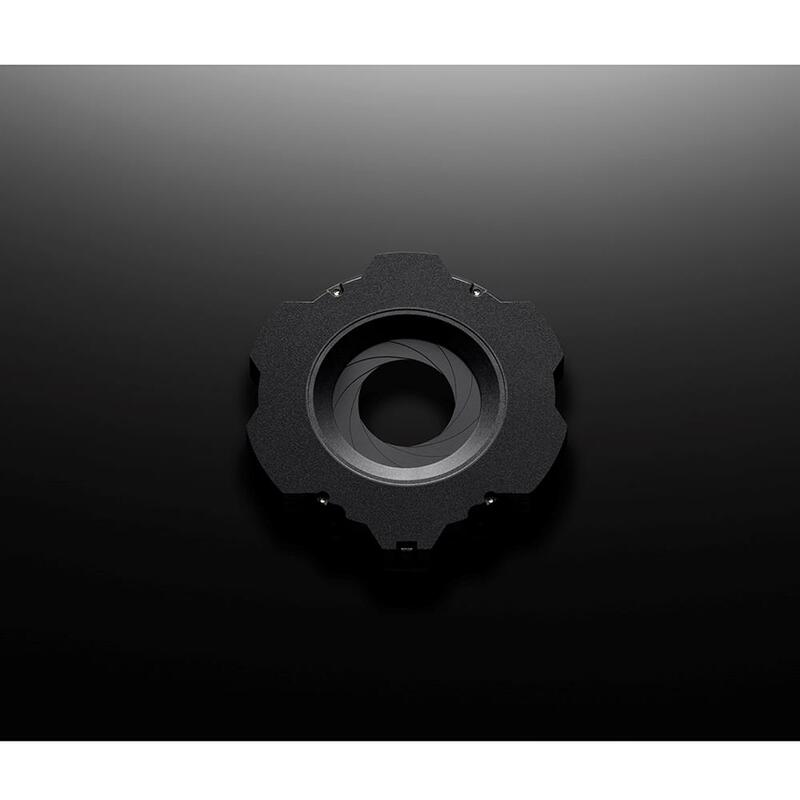 Dust- and moisture-resistant sealant and construction of operating parts allow the camera to withstand rugged conditions. With high magnification (0.70x), contrast and resolution, this electronic viewfinder displays great depth. The equivalent of approx. 2.35 million dots on display reproduce rich tones and colours even in dark areas, for realistic images that match the high quality of the final recording. 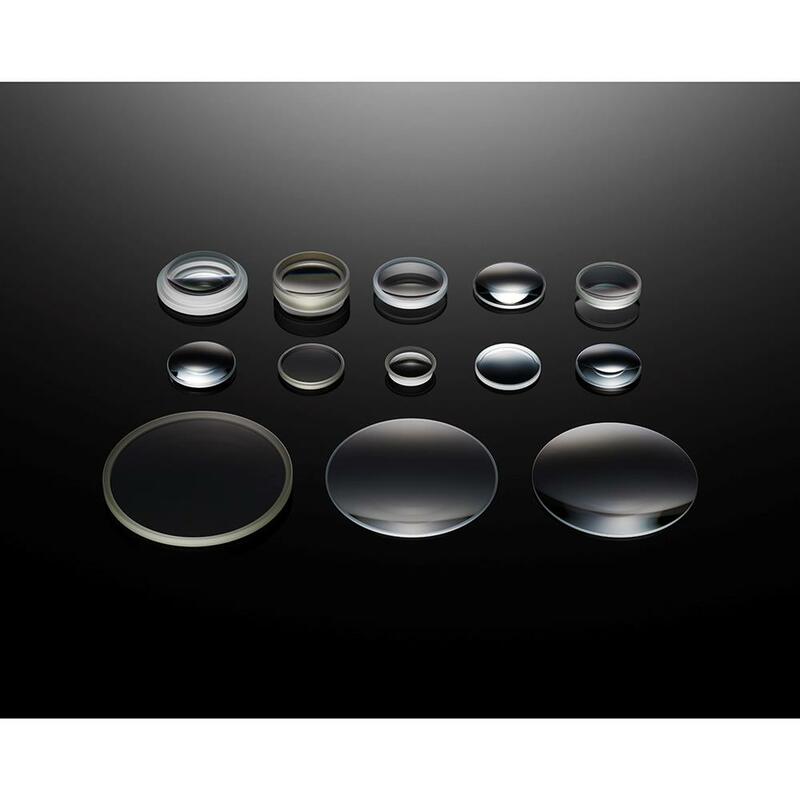 ZEISS T* Coating significantly reduces surface reflection from the sun and other light sources. The camera supports not only uncompressed movie recording on external recording equipment - it also lets you output such high-quality movies for real-time viewing on an external monitor, so you can confirm focus and other details more clearly while recording in-camera. With this function, you can view while recording in S-Log gamma, converting S-Log2 into ITU709 (800%) gamma for monitoring images, or checking focus while enlarging an image on the LCD screen or viewfinder. Gain flexibility to make more expressive movies in post-production. S-Log2 gamma curves feature wide dynamic range (up to 1300%) to reduce whiteout and blackout in the colour grading process. With high-bit-rate XAVC S15 format, which is based on the XAVC format that's highly reputable among professionals, serious moviemakers can record high-quality 4K and Full HD movies with minimal compression noise at maximum bit rates of 100 Mbps and 50 Mbps, respectively. 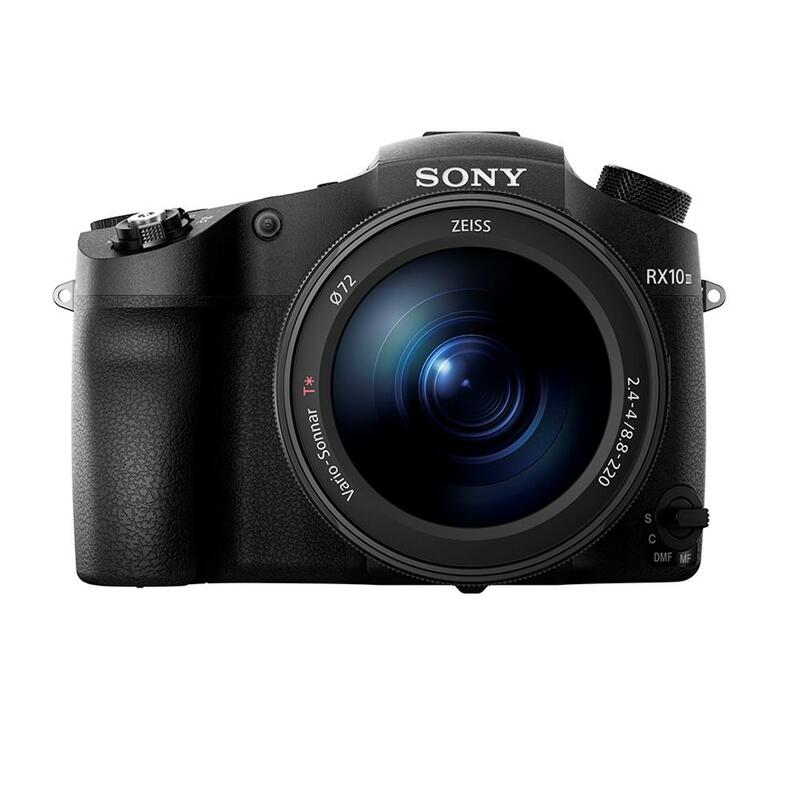 The RX10III also offers you options to easily record, edit and share AVCHD format movies. Picture Profile menu supports professional-style changes of parameters such as Gamma Curve and Detail for basic contrast, colour adjustment, gradation of brightness, and image edging. The sensor's heightened processing speed enables the RX10III to capture very precise still images without pixel binning while recording a movie. The result: high-quality images of up to 17 MP resolution. The custom (C) button allows you to set one of over 58 possible functions to adapt the camera's capabilities to your shooting style. Assign a frequently used function or preferred setting to this button. Then, you can promptly call up that function or setting. Access to your selection will be available at your fingertip, for faster, more intuitive camera operation. You can select a decisive moment from a movie recording and save it as a picture, in the form of a highly detailed 8-megapixel still image file from a 4K movie. From Full HD footage, you can create a 2-megapixel still image file. Simply press the shutter button halfway to activate Lock-on AF 25. It automatically adjusts the AF target frame size to match the subject size, improve tracking performance, and take full advantage of every photo opportunity. The first three characters of the file name are now customizable on the camera. The file name starts with "DSC" by default, but you can change and register the three characters of your choice. This facilitates the photographers to manage the files easily especially when working with multiple cameras in assignments. Download and install a Remote Camera Control application on a computer in order to change camera settings, shoot images, and otherwise operate the camera from the computer via USB connection of the camera to the computer. The image data recorded on the camera will be stored directly. Capture One Express (for Sony) is one of the world's best RAW converters for rendering colours and details with incredible precision. The product contains flexible digital asset management, all essential adjustment tools and fast, responsive performance in one customizable integrated solution. 30 sec. to 1/2000 sec.